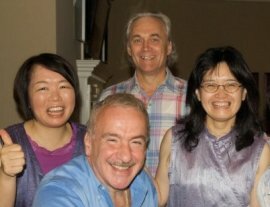 Global Harmony U.S.A Updates: H.H. Gayuna Cealo’s Visit to Chicago July 15th-27th, 2009. H.H. Gayuna Cealo’s Visit to Chicago July 15th-27th, 2009. H.H. Gayuna Cealo visited Chicago July 15th-27th, 2009. It was an amazing experience for all who participated in the numerous direct action activities and events during his visit. Many deep heart connections were made and in doing so we raised over $14,000. This is the most the Chicago Team has ever raised for Cealo's acts of compassion and although we do our best to not to attach to the result of the events, we are proud to have raised so much. First off, I would like to thank all of the supporters from Chicago, America, and Japan, for all their efforts in creating a great experience where more hearts could share and connect through Cealo's guidance. I would also like to thank all the people who attended the events and for their love filled donations. On Friday Jul 17th, the Chicago Team held a public event where H.H. Gayuna Cealo gave a talk, answered questions, and lead a brief meditation. 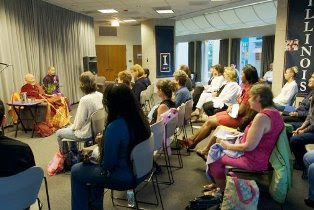 The event was held at the Illini Center in down town Chicago across from the Sears Tower. It was a beautiful space and everyone who attended enjoyed. I have received many reports from people who attended that said that this program changed their life and deeply touched their hearts. Cealo's talk and answers were inspiring and profound. At one point, everyone in the room was crying because his message was so beautiful. I would like to give special thanks to Min-aha Beeck of the Illini Center, who graciously donated the space for the public event as a gift. Usually in Chicago we have to pay for a large conference room space, so this was an extra special offering. 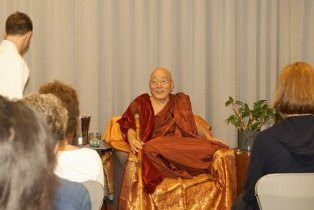 July 17-19, H. H. Gayuna Cealo offered private session for those who wanted to meet with him for guidance, healing, and support. As always, the people received much love, encouragement, and healing as they gave from their hearts their donations for the children. People loved the gift store items which where made by the children in Cambodia, Myanmar, and Sri Lanka. Chicago people loved knowing that in buying these gifts that they were supporting the efforts of the children. We sold out of many of the sales items. This year was an extra special visit due to the fact that Cealo decided to bring two very gifted Japanese body workers with him to Chicago. Chie Mizutani and Ora Toyoko offered their amazing healing gifts to the Chicago people. Chie offered her powerful aroma therapy healing and therapeutic moxa therapy. Ora gave her deeply relaxing Ora Therapy sessions which massages the body with her feet. Everyone LOVED their treatments from them!!! Many people came back again and again and their sessions were sold out fast as word spread of their amazing talents. The best part is that they offered their body work treatments as a 100% donation to the foundation. All the people were deeply transformed by their treatments and everyone requested that they come back again. So from my heart, I would like to thank Chie and Ora for their service, dedication, and for being great examples of "loving all" and "serving all". 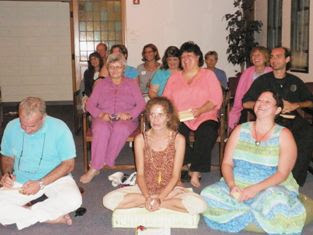 This was a deeply powerful retreat where everyone who attended was transformed. On the morning of the last day, I was impressed at how everyone in the room was shining and glowing. Their hearts were so open and everyone was smiling. This meant so much to me because we had put forth so much effort in making this retreat happen. Even though it was difficult to fast, everyone made it through the retreat with flying colors. For most people, it was the first time they had ever fasted. They realized that it was easier than they had expected. Cealo shared that in choosing not to eat (with the money we donated for the retreat) we were giving people in other countries who can not eat the chance to have a full meal. 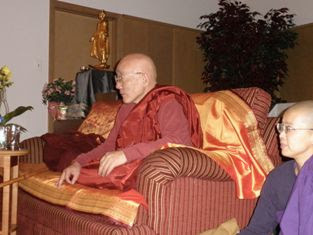 This created an even deeper level of understanding as to why we were doing the retreat. Many FGH supporters from across America also came and graciously helped out with the many aspects of putting on this retreat. Without their love and support, we could hae never pout on such a beautiful retreat. To all the US supporters who came, thank you for your assistance. After the retreat, many people gathered to share ideas on how we can continue to support Cealo's work, grow our heart connections, and participate in direct action while Cealo is traveling. Many great ideas were shared and new people have stepped up to participate. One way we came up with was to create a group internet email list where we can stay in contact with each other. If you would like to continue growing our hearts together and creating world peace, please join our new group email list. So…. You are invited to join the "C Team" group email! 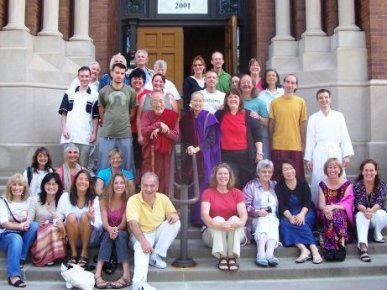 The C Team group email will enable you to keep in touch with other supporters of Cealo as you proceed on your own path of love and compassion. By using this group email, you can update us on what you are doing in your local area to support H.H. 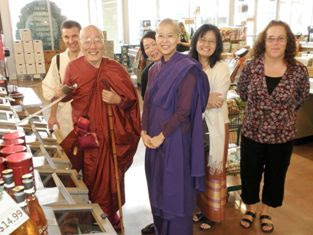 Gayuna Cealo's works of compassion as well as see what others are doing to support. You can upload photos, post inspiring messages, share from your heart, contact other C Team members, or let us know what you are doing locally. In this way we can better communicate with each other and grow our heart connections even more. Looking forward to sharing with you through this group email as we deepen our knowing of our true self. Infinite love and gratitude to Cealo and Amica for all their compassion and efforts.